Postoperative visual field defects are common after temporal lobe resection because of injury to the most anterior part of the optic radiation, Meyer’s loop. Diffusion tensor tractography is a promising technique for visualizing the optic radiation preoperatively. The aim of this study was to assess the anatomical accuracy of Meyer’s loop, visualized by the two most common tractography methods—deterministic (DTG) and probabilistic tractography (PTG)—in patients who had undergone temporal lobe resection. Eight patients with temporal lobe resection for temporal lobe pathology were included. Perimetry and diffusion tensor imaging were performed pre- and postoperatively. Two independent operators analyzed the distance between the temporal pole and Meyer’s loop (TP-ML) using DTG and PTG. Results were compared to each other, to data from previously published dissection studies and to postoperative perimetry results. For the latter, Spearman’s rank correlation coefficient (rs) was used. Median preoperative TP-ML distances for nonoperated sides were 42 and 35 mm, as determined by DTG and PTG, respectively. TP-ML assessed with PTG was a closer match to dissection studies. Intraclass correlation coefficients were 0.4 for DTG and 0.7 for PTG. Difference between preoperative TP-ML (by DTG and PTG, respectively) and resection length could predict the degree of postoperative visual field defects (DTG: rs = −0.86, p < 0.05; PTG: rs = −0.76, p < 0.05). Both DTG and PTG could predict the degree of visual field defects. However, PTG was superior to DTG in terms of reproducibility and anatomical accuracy. PTG is thus a strong candidate for presurgical planning of temporal lobe resection that aims to minimize injury to Meyer’s loop. • Oral presentation at the 15th European Congress of Neurosurgery, Prague 2014. • Poster at the 11th European Congress on Epileptology, Stockholm 2014. We thank Nils-Gunnar Pehrsson, Statistiska Konsultgruppen, for contributing with expert statistical advice and Justin Schneiderman for the language check and other much appreciated advice. We also thank the neuro-ophtalmologists, Dr. Bertil Lindblom and Dr. Lars Frisén, for their cooperation and expert clinical evaluations. We are thankful to the FMRIB Analysis Group, Oxford, UK, for providing the FSL software. Research nurse Gerd Ekstedt kept track of subjects and DTI examinations, which was invaluable. This study was supported by research grants from the Gothenburg Medical Society, The Göteborg Foundation for Neurological Research, the “De Blindas Vänner” foundation, The Swedish Medical Society, The Swedish Epilepsy Society, GlaxoSmithKline, ALF GBG grant no. 11284 and Neuro-S Up ALF 77090 (agreement concerning research and education of doctors). The study was approved by the regional ethics board of the University of Gothenburg, Sweden. Informed written consent was obtained from all subjects prior to their inclusion in the study. Lilja and coworkers present a paper prospectively assessing Meyer’s loop before temporal lobe resection using deterministic and probabilistic tractography (DTG and PTG) in eight consecutive patients. The authors found that PTG was superior to DTG relating to reproducibility and anatomical accuracy. 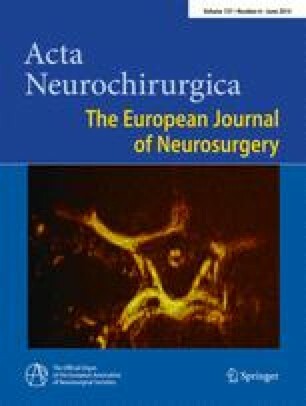 In my opinion, this is a nicely performed, interesting study, dealing with the most frequent postoperative neurological deficit after temporal lobe resection: upper quadrantanopia due to a damage to Meyer’s loop, the most anteriorly located part of the optic radiation. If a neuronavigation system is used during the procedure, integrating PTG image data into the system thus appears advisable.